Eat breakfast. Stay smart | gingerbread smiles. I'm back again with another breakfast recipe following Monday's berry sauce and granola. As it is National Breakfast Week, I wanted to make sure you had a few good breakfast ideas to try. Today's recipe comes from a book I was sent called Eat Yourself Smart by Gill Paul. With a title like that, the recipes that are included have to deliver. 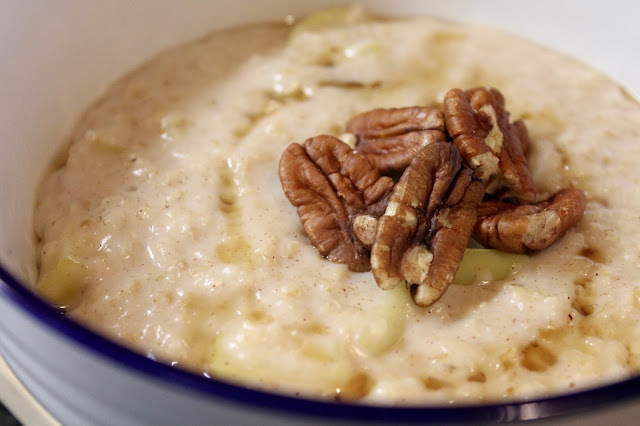 I chose to create the Apple and Cinnamon Porridge, full of lots of goodness including oats, apples and pecans. This recipe is a very easy one but it involves using a pan and a hob, so unless you make this ahead on a busy morning, this one is for a lazy weekend breakfast. I made this last Sunday to try and it was very filling and delicious. 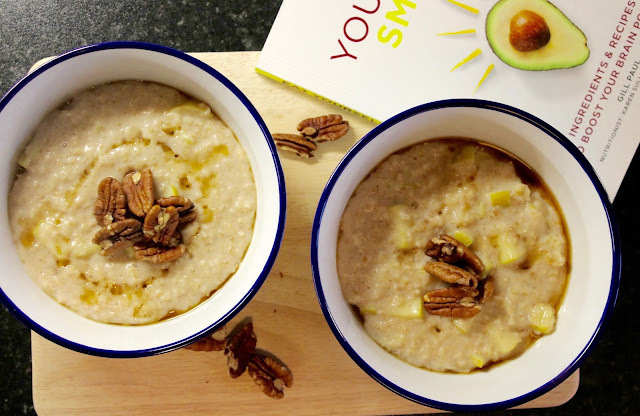 For this you'll need: 2 granny smith apples (cored and chopped into chunks, skin on or off whatever you prefer), 150g porridge oats, 450ml water, 450ml soya milk (I used semi-skimmed milk), 1 tbsp dark brown sugar, 2 tsps ground cinnamon and 1 tsp grated nutmeg. 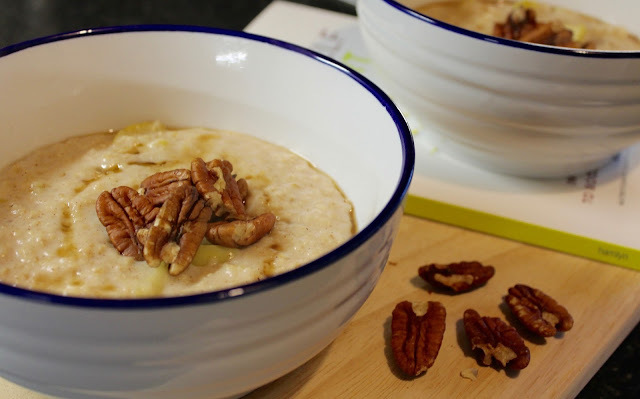 To top you'll also need 50g pecans and 3 tbsp of maple syrup, or alternatively honey/agave nectar. 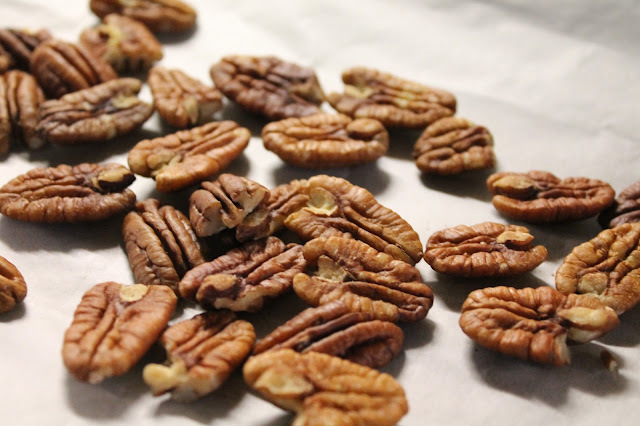 Pecans are a wonder-nut according to the book boasting benefits such as improved circulation, reduced stress & anxiety, they promote a restful sleep and can lift your mood. Certainly seem like something I'd like to top my porridge with. The Eat Yourself Smart book is great in that it gives you these little details and recommends recipes based on what you want to gain from the ingredients. The pecans in this recipe need to go in the oven at 150 degrees Celsius for 8 minutes whilst you carry out the rest of the recipe. To create the porridge put the water, milk, sugar and spices into a large pan and bring to the boil. Reduce the heat, then stir in the oats and apple and simmer for 5 minutes until the oats have absorbed the liquid. 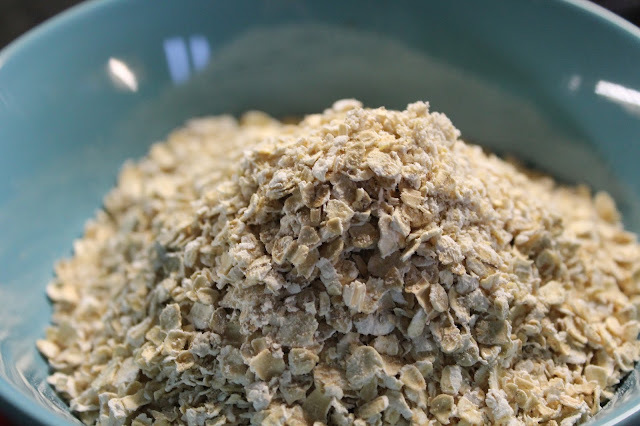 Oats are also said to be a great food to eat, being named in the book as 'grain for the brain'. They are a powerful superfood that help to improve memory and cognitive ability and boost attention, concentration, mood, energy and alertness. With all that, what a perfect food to eat for breakfast before work or school! 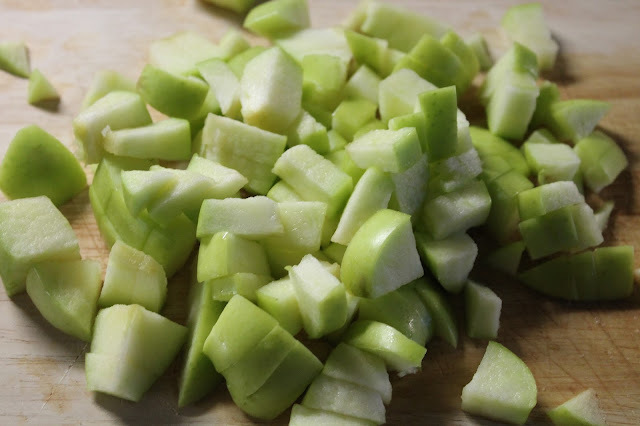 To accompany the oats are the granny smith apples, full of goodness to provide energy and reduce stress as well as helping to prevent dementia. 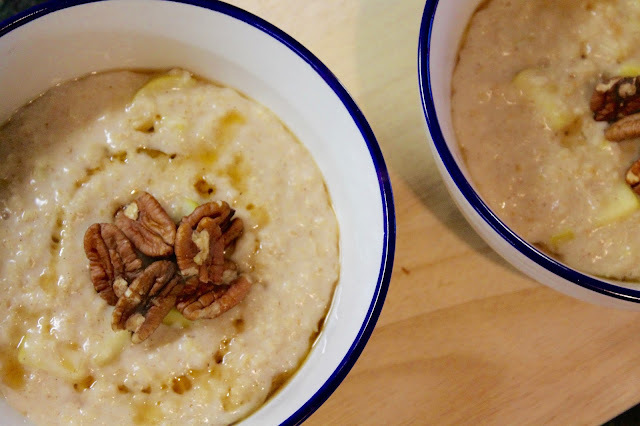 When all the oats are complete, separate into four portions and top with the toasted pecans and drizzle with maple syrup. The apple, cinnamon and nutmeg are so brilliant together, and the maple syrup just brings an extra bit of sweetness. Definitely a great breakfast to make on a cold Winter's morning. As it's national breakfast week, do you have any good breakfast recipes to share? *Eat Yourself Smart sent to myself for review. All opinions my own.